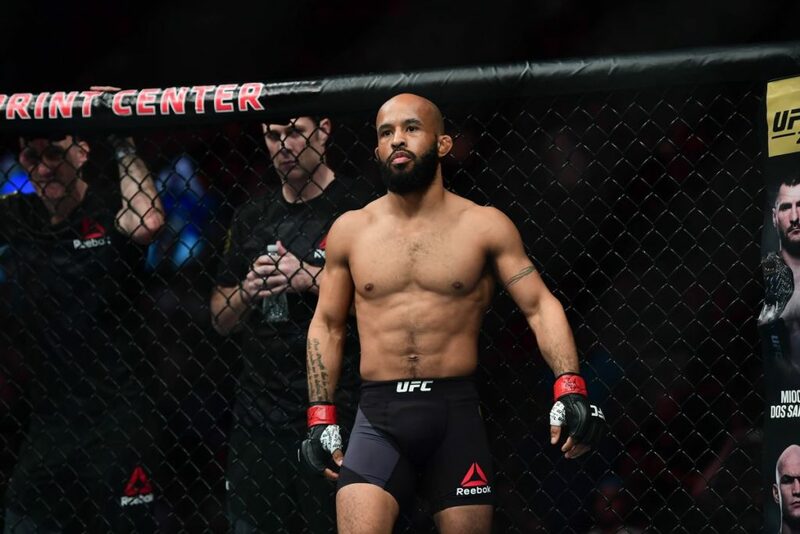 The co-main event of UFC 227 will feature a rematch between Demetrious “Mighty Mouse” Johnson and Henry Cejudo. 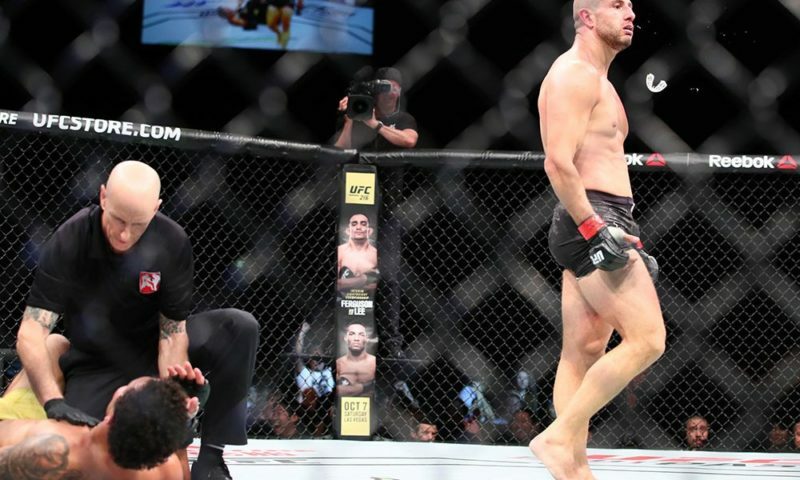 The pair’s inaugural bout back in April of 2016 at UFC 197 was a particularly exceptional display of intellectual violence in which Johnson was able to finish Cejudo in under three minutes. 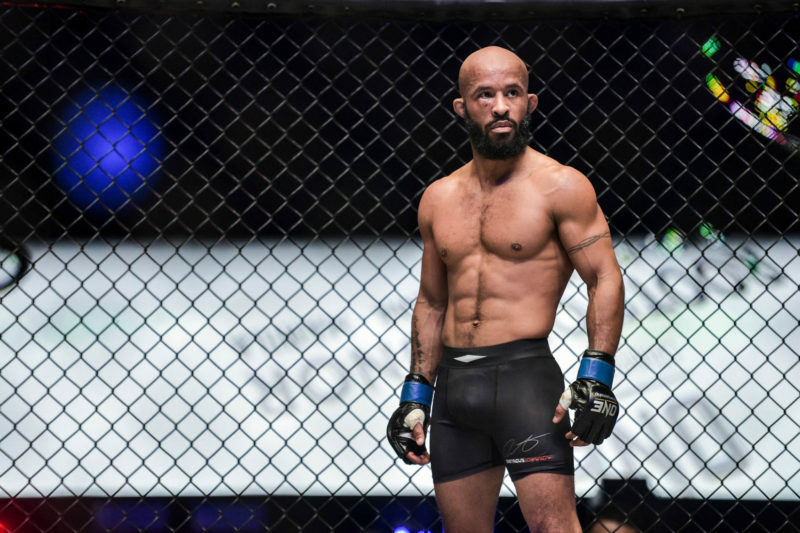 “Mighty Mouse’s” victory was the result of a near perfect execution of a game plan that centered around a style of clinch fighting that simultaneously mitigated Cejudo’s wrestling abilities while allowing the champion to inflict catastrophic levels of damage. Demetrious Johnson entered the cage at UFC 197 with a clear game plan for how he was going to be able to beat his opponent. His first-round finish was the result of his ability to implement that plan at will. From the opening bell the champion had one objective in mind: clinch with his opponent. 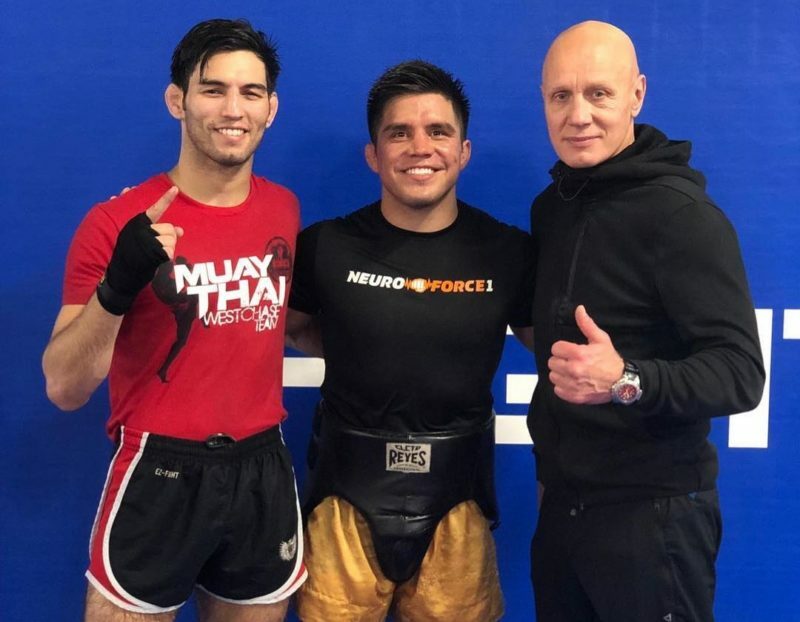 This would allow him to use a varying set of Muay Thai and dirty boxing techniques to deal damage while preventing Cejudo from getting to his hips and securing a takedown. Henry Cejudo’s victory at the 2008 Beijing Olympic Games makes him one of the most credentialed freestyle wrestlers to ever enter the sport of mixed martial arts. Choosing to clinch with him might appear suicidal, but the advantages of this decision were two-fold. First, by clinching with Cejudo, Johnson was able to get his hands on the wrestler, preventing him from exploding into shots from the outside, which would be a worst-case scenario. 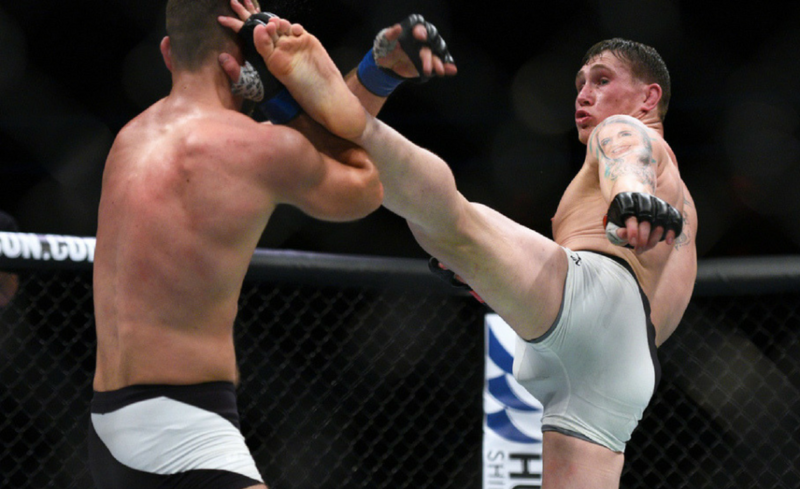 Johnson was aware that if he chose to stay on the outside and strike with Cejudo, it was inevitable that the former Olympian was going to blast into a double or single leg, where the champion would have slim to no chance of stopping the takedown. By choosing to initiate the clinch, Johnson was able to tie up Cejudo and nullify the threat of an explosive entry, therefore protecting his lower body and center of gravity. Obviously entering the clinch with a wrestler as skilled as Cejudo is not without risks. There was always the danger that Cejudo would be able to win dominant head position and attempt a takedown. When two fighters enter a clinch position they are both trying to obtain the superior head position by getting the front of their forehead on the side of their opponent’s head. 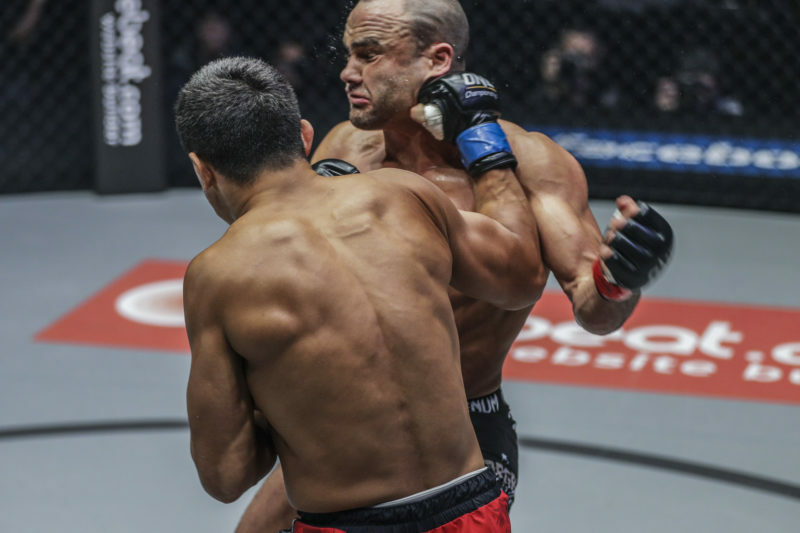 Having the front of one’s head on the side of another’s allows the fighter with the dominant position to drive into their opponent, off balancing them and mitigating the opponent’s takedown ability while amplifying his own. In the picture below, Cejudo has his forehead on the left side of Johnson’s which would allow him to drive forward and off-balance Johnson, allowing him to change levels and attack for a takedown. A few seconds later, we see the champion had regained dominant head positioning by getting his forehead on the right side of Cejudo’s, which not only allows Johnson to attack for takedowns but nullifies most of the Olympian’s takedown attempts. One tactic Johnson implemented to successfully neutralize Cejudo’s attempts to gain dominant head position was by repeatedly striking his opponent with his shoulder. While it is unlikely that shoulder strikes would knock out an opponent, they were enough to warrant a reaction from the challenger, who stopped trying to get his forehead back on the side of Johnson’s. In the clip below, after Johnson regains superior head position, he drives his right shoulder into Cejudo’s head, deterring him from attempting to re-pummel. He did this throughout the fight. Unwilling to pursue the dominant head position necessary to drop for double or single legs, Cejudo resorted an inside trip takedown, which does not require advantageous head positioning. Cejudo was able to use a trip to take down Johnson, but with little to show for it. 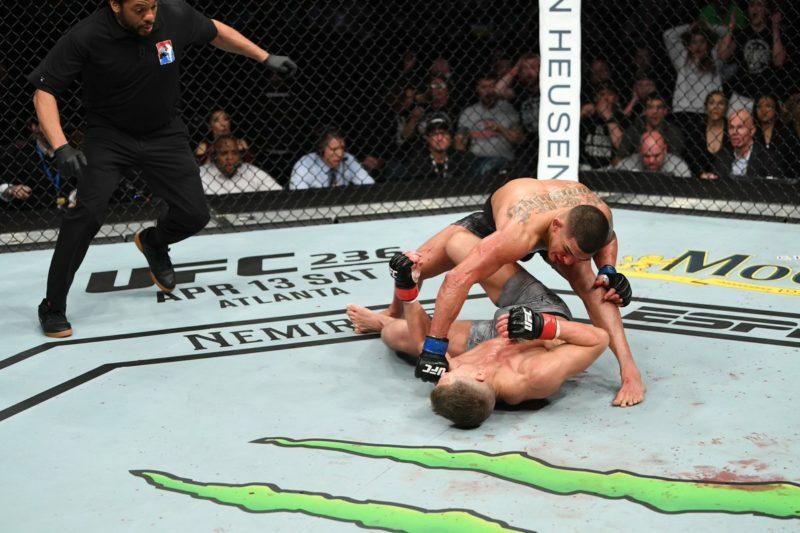 The fight was on the ground for less than 20 seconds, and Cejudo failed to land a single strike before Johnson escaped. In watching the clip below, notice that at no point does Johnson panic or give Cejudo opportunities to strike or advance his position. 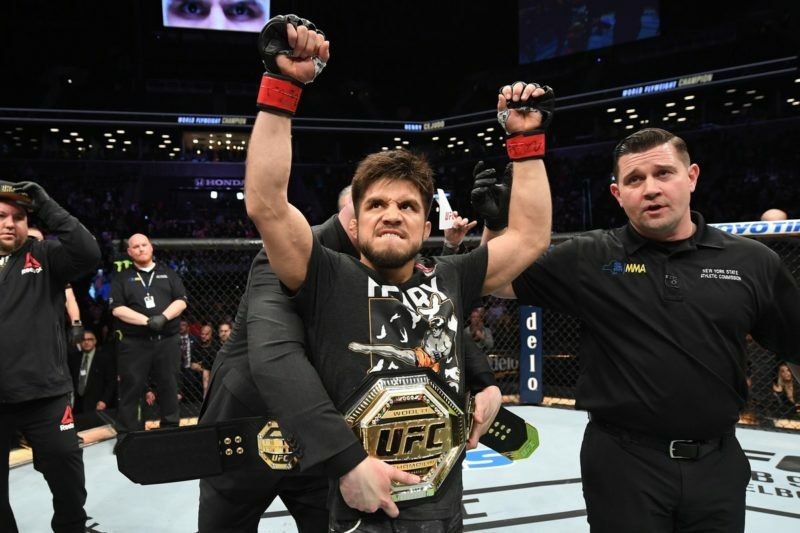 With the threat of Cejudo’s takedowns largely nullified thanks to a combination of Johnson’s skill and ingenuity, the clinch became a haven for the champion and a hell for the challenger. Clinching provided DJ was the ability to damage Cejudo significantly, without giving him the opportunity to explode into a takedown attempt. 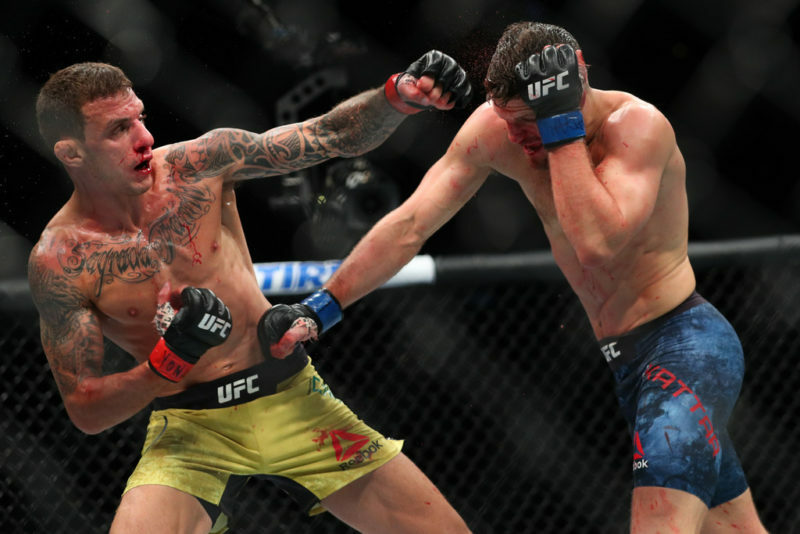 Had Johnson elected to strike in a traditional manner, he would have had to risk giving his opponent plenty of opportunities to do what he had spent his entire athletic life practicing, shooting from the outside and getting in on a takedown. Clinching in MMA is very different from clinching in wrestling, and the differences were on full display at UFC 197. Cejudo’s takedown came from a clinch sequence that could have taken place during a wrestling bout. He and DJ both had an over hook and an under hook with neutral head position. Cejudo executed a textbook lat-pull, forcing DJ to take a step with his left foot, which Cejudo immediately blocked with his right leg and drove his body weight into the champion, taking him down. There was nothing in this engagement that Cejudo had not done a thousand times in wrestling competition or practice. This cocktail of varying tactics prevented Cejudo from repeating his inside trip takedown and allowed Johnson to batter the former Olympian before moving in for a ferocious barrage of strikes that forced John McCarthy to end the bout. Notice how in the clip below of the final minute all of the strikes Johnson throws are from odd, sideward angles. He is never standing directly in front of Cejudo, as that would have allowed for another attempt at an inside trip. After breaking down their first bout it is hard to picture a scenario in which Cejudo will take the belt from Johnson. Demetrious Johnson came into the Octagon at UFC 197 knowing exactly what Cejudo needed to beat him, and then he went about tyrannically denying him those opportunities. It has been over two years since Cejudo and Johnson first fought, and DJ has only been getting better. 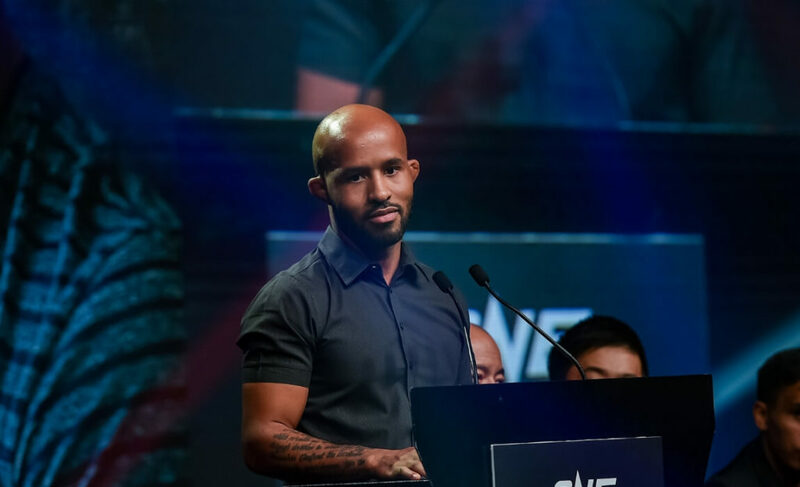 His submission victory over Ray Borg was one of the most spectacular highlights in UFC history, and submitting the legendary jiu-jitsu ace Wilson Reis is evidence of Mighty Mouse’s ever-improving skill. 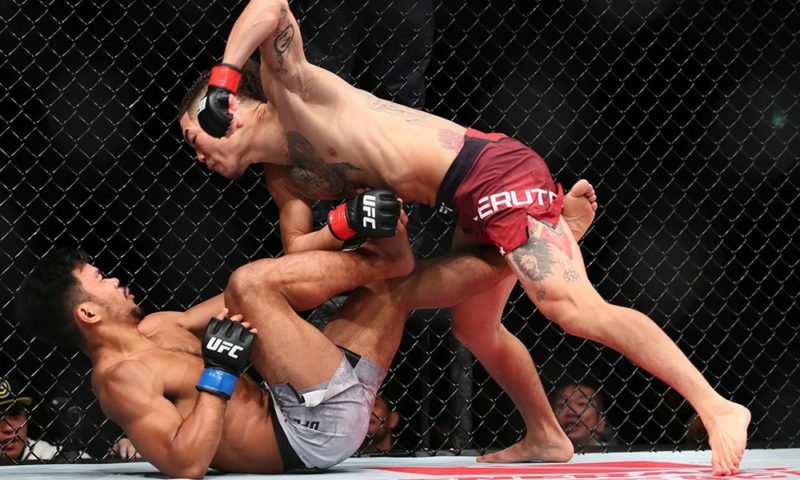 Since UFC 197, Henry Cejudo lost a close decision to Joseph Benavidez before turning it around with big wins over Wilson Reis and Sergio Pettis to earn another shot at the champion. These performances have not been spectacular enough to warrant consideration that he can best the longest reigning champion in UFC history. 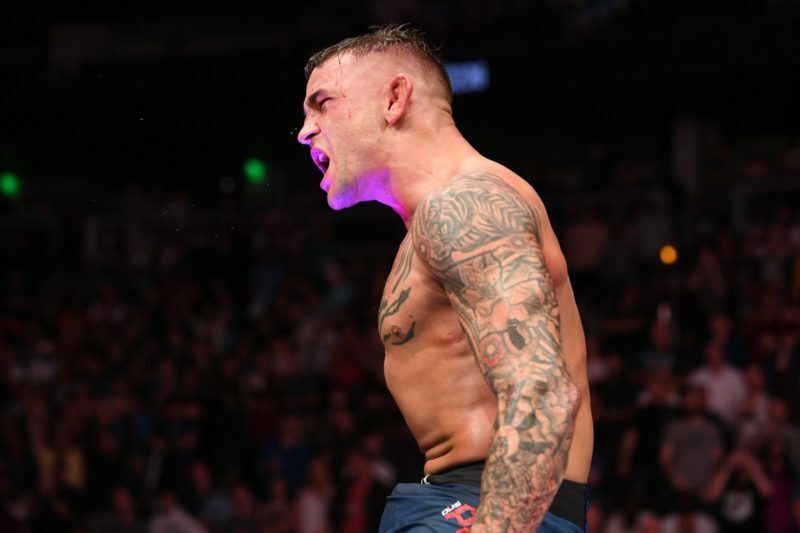 Barring any unknown complications from Johnson’s recent shoulder surgery, it is hard to see a scenario in which the UFC record for the most title defenses is brought to an end at UFC 227.